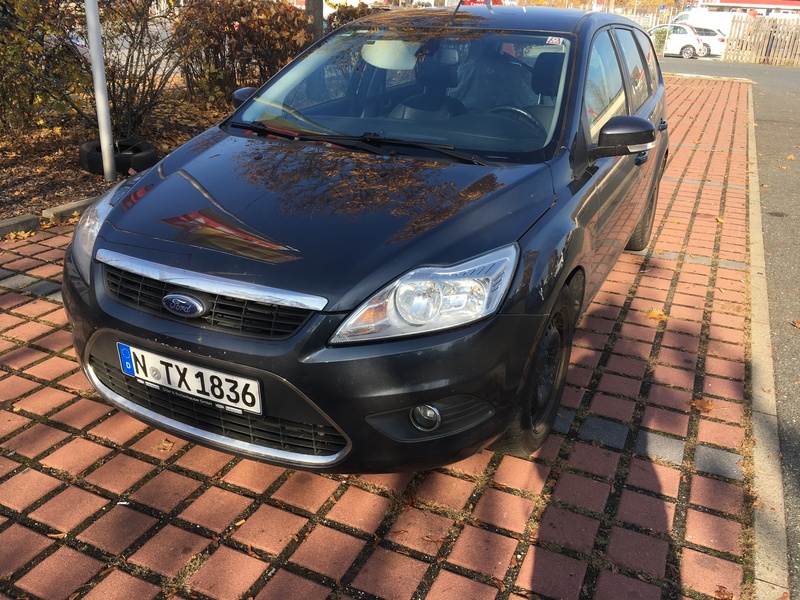 On Monday evening, I dropped my 2008 Ford Focus diesel wagon at the dealer to get the timing belt changed and other 180,000 km/10 yr maintenance done and winter tires put on, with a request that they call if it was going to be over 100 EUR more than the 1350 EUR on the quotation. On Tuesday morning, they called to tell me that the trouble starting I reported was actually to do with the transmission, and they had the failure codes from the ODBC to prove it, but were not sure that doing the 450 EUR transmission oil change would fix it, my first reaction was panic, assisted by already panicking over what my fellow Americans would do that day at the polls. But then I remembered that I had ridden to work with my colleague, and was planning to take the U-Bahn and walk to the dealer to pick up my car. In fact, I drive to work about once per month and to the grocery store most Saturdays. I could buy another 10 year old Focus wagon for about 4000 EUR, if it turned out I really did miss having my own car. On Tuesday afternoon, I asked for a purchase offer; the most the dealer was willing to pay was 650 EUR, because my car is pretty much unsaleable in Germany (older diesel + automatic transmission). Instead of spending the minimum of 1800 EUR for the scheduled maintenance and attempt at fixing the transmission, I paid 75 for the initial diagnosis and installation of my winter tires, with the intention of driving it until the transmission really did go.